For the development of this premier science museum, Atelier Ten’s work guides one of the project’s core goals: that the most compelling exhibit be the building itself and that the museum embodies a striking balance of aesthetics and energy efficient design. 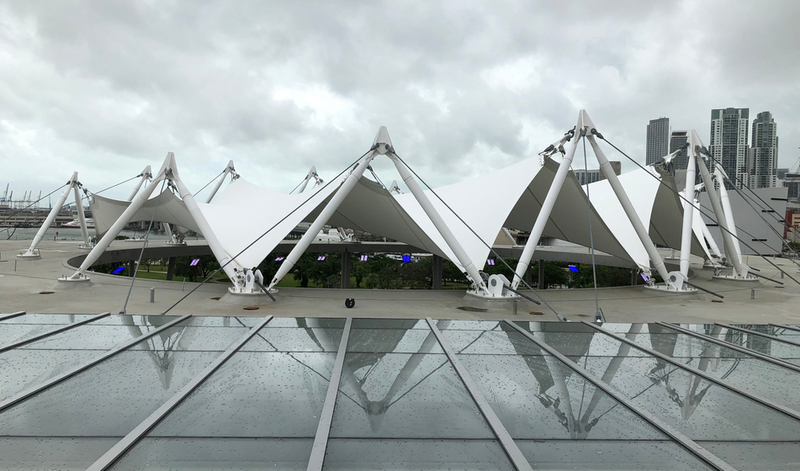 Located in a newly developed waterfront park, the Frost Museum will include a planetarium, aquarium, theater, technical exhibition spaces and support spaces. Natural ventilation and open air circulation are key drivers. 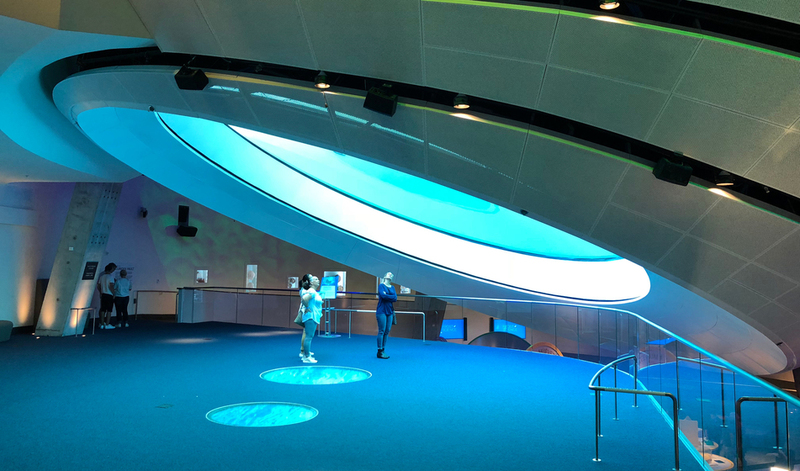 Shading opportunities, especially for the shark tank, are driving mechanical design decisions to drastically reduce energy dependency. 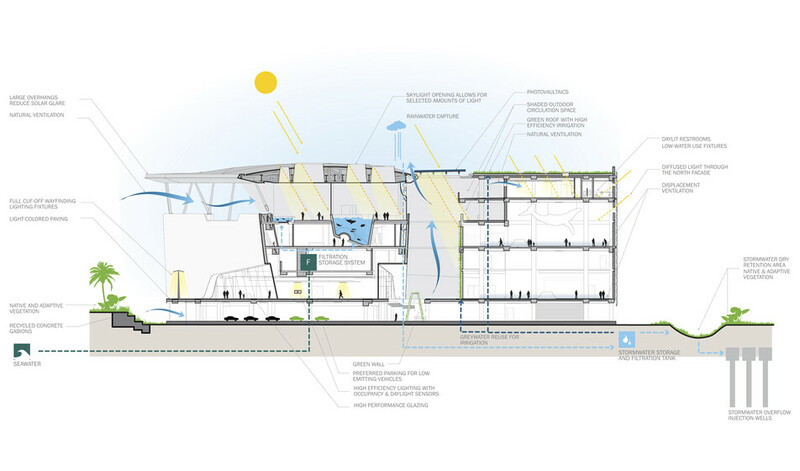 Atelier Ten provided daylight analysis for gallery spaces and shading of the gulfstream tank as well as energy analysis. Water use will be substantially reduced through innovative tank design, and capture and re-use of stormwater for cooling tower make up.